I know it isn't Tuesday, but hear me out: Tuesday got reserved for our book club post so I took Monday instead. On that note, if you've read The Martian, by Andy Weir, join us tomorrow for our book club discussion! Your character has favorite things, just like real people do. You may think it isn't important whether your character prefers chocolate to caramel, or red to blue, but those things inform who we are as people and can add depth to a character. So this Museday, make a list of some of your characters' favorite things, and think of ways to incorporate them into your novel. Bonus points if they actually affect the plot! And even though it's not Tuesday, I'm still offering a critique to go along with this post. Let me know in the comments if you'd like fresh eyes on your query or Twitter pitch (both #PitMad and #DVPit are coming up!). I'll randomly select people for critiques, so include your Twitter handle or e-mail address so I can contact you if you are selected for a critique! My July 2015 blog tour ran for two weeks and had eight stops. My October 14, 2015 cover reveal ran for one day and had fourteen participants. So far, we've talked about planning your tour, how and where to find potential bloggers, how to keep organized as you recruit, and how to successfully kick off the tour. And now your tour is underway. What do you do? Share your bloggers' posts throughout the week and beyond. 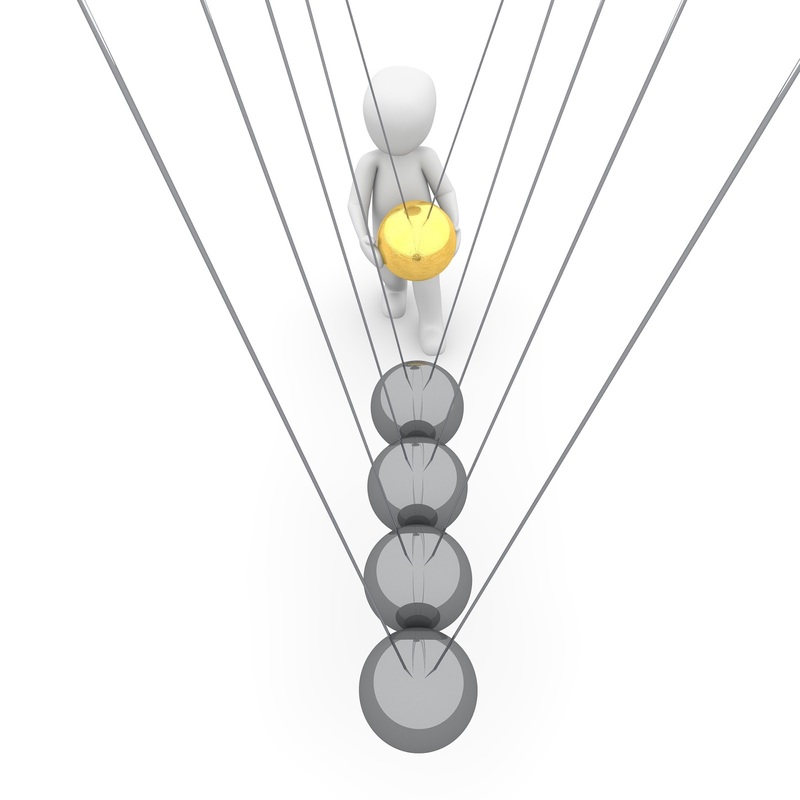 They're sharing their social media sphere of influence, and you're sharing yours. Re-tweet them, say thank you on Twitter (or FaceBook or whatever--sorry, my Twitter bias is showing), and generally give the impression that, golly gee, you're grateful for their time and energy. Which you should be, by the way, but if you're not, that's between you and your deity of choice. In addition, as I linked to above, make a page on your website that showcases all your posts. People might someday stumble onto your website with a burning curiosity about you and what you have to say, and voila! There's a place where they can read some of the stuff you spent blood, sweat, and tears on! Did you do a giveaway? Don't forget to send off the loot when the window closes. Rafflecopter reminds you and does the pick automatically, so it's super easy. I also suggest poking holes in the boxes if you want the pet lemurs to survive the trip. When your tour draws to a close, I suggest a thank you email to everyone who participated. Yes, in addition to the social media thanks. People like to know they're appreciated. I mean, don't send a crazy, "YOU HAVE MY UNDYING LOVE AND DEVOTION" email every day for the next year, but a final wrap-up won't go amiss. And now's the time to spring that request I sprung on you at the beginning of my blog series: the newsletter. I have three newsletters. One for fans, one for bloggers, and one for book reviewers. Since the second and third are many times one and the same type of person, I debated whether or not to merge them into one list. However, I've found that while there is cross-over in the subscribers, it's not 100%. So I keep them separate. Thanks for being a part of my blog tour! If you enjoyed working with me and want to be notified in the future when I'm booking another tour, cover reveal, or blitz, please sign up for my book blogger list (on the left side of the page). If you're a reviewer and want to be notified of when new ARCs are available, please sign up for my book reviewer list (on the right side of the same page). And people do it. And they've participate in more than one of my events. It also takes the pressure off the spreadsheet I had you create a couple days ago as being the landing zone for future participants. It takes the awkwardness out of it, too. If they don't want to participate, they can hit the "unsubscribe" button without having to email you and demand to know why you're sending them emails. Thank you so much for sticking with me to the end of this series. I certainly hope that you learned something you can apply. If you have questions, post 'em below or find me and the rest of the Operation Awesome gang on Twitter. So far, we've talked about planning your tour, how and where to find potential bloggers, and how to keep organized as you recruit. And now the time is approaching for the tour to commence. "Well in advance" means something different to everyone. I can't say that I'm the Patron Saint of Never Sending a Last Minute Blog Post, but my advice is to try sending everything at least a week ahead of when your posts are going live. If you wait too long, people start wondering, "Is she going to send it to me? Is she flaking out? What's going on? Do I need to email her? Did she forget? Did I get the date wrong?" And then they're at the aforementioned Step #1 themselves, and that you don't want. Everyone is different. Maybe one of your bloggers always schedules their posts every Tuesday night. Getting it to them a week ahead of time lets them fit it into their life as they prefer. Side note: It's perfectly acceptable to email people to tell them you're running behind. Better is giving them the date ("I'll have this to you by Sunday, April 3, in time for you to schedule it for the Tuesday, April 12 book blitz") and then sticking to it. But things happen. This little tidbit was pointed out by one of the bloggers that participated in my July 2015 tour, Brian Basham. He said that one of the reasons he enjoyed working with me was because I made it super easy to participate. In the weeks leading up to the tour, you've been writing and revising your posts. Once that's done, you package everything up to makes it the simplest possible experience for bloggers to get your posts on their blog. You've already created a lovely format and hyperlinked your links. You hit the "send" button, and out goes your posts. Blogger pastes your content a new post. Blogger schedules your post and presses "publish." That's it. That is our end goal. That's what's going to win you friends and influence people. I provide both because sometimes the first goes wonky and/or because some people really do like to tweak the HTML themselves (myself included). If you're an HTML tweaker yourself, so much the better, because then you really have ultimate control over what everything looks like. MWAHAHAHA, ULTIMATE CONTROL. So make everything self-contained. Open -> Copy -> Paste -> Publish. You can add all sorts of bonuses to your email. Pre-written 140-character tweets, several different graphic sizes, whatever else you can think of. And speaking of graphics, yes. People like looking at aesthetically pleasing things. So use Pixabay. Unsplash, morguefile, or whatever other free graphic sites you like to find images, and then use Canva to create something attractive. Send those with the post. Tweet them out on social media. Admire your awesome blog tour organizational skills. Pop quiz: Why are you scheduling a blog tour? Because I love writing blog posts. I can't get enough of writing blog posts. OMG, MOAR BLOG POST WRITING, PLEEZ. Because some jerkface told me I had to do a stupid tour if I'm gonna be an author, or some crap like that. Because I want to sell books. The answer is, obviously, d) None of the above; Cthluhu thinks bloggers taste terrible, so I'm hoping to be spared when he rises from the deep. OK, but on a serious note, take a gander at the end of these posts. You want something like that. A quick little bio and all your links jam-packed in a tiny, little space. Think I went overboard? Fine, then only include your Twitter handle or your webpage or your blog. Whatever. I'm not telling you how to do it. I mean, what do you think this is? A how-to guide or something? This is beyond the scope of this blog series, but I also want to mention one of the most important things about peddling your wares (whether to potential book buyers or potential book blog tour participants): make yourself presentable. Have a professional quality cover image, an author head shot that looks like it was taken by a real photographer and not your cell phone, a book that's been edited, an author webpage that someone with an eye for graphic design helped you create, a purposefully crafted bio that makes you sound like an interesting person, and an awesome book blurb. If you're not sure how to start polishing your image, spend a lazy Sunday afternoon reading the blog posts over at Rachel Thompson's blog. She knows a thing or two or fourteen about branding. Got any questions? Post them below, and then come back tomorrow to hear about flawlessly executing and wrapping up your tour! So far, we've talked about planning your tour, plus how and where to find potential bloggers. Now that you're all ready to go, it's time to prepare. I'm an organization freak. I'm a planner, a rearranger, a planner of rearranging. When I was ten years old, I made my bookshelves into a "library," complete with Dewey Decimal System note cards and card holders at the front of all my books. I never got the date stamp I wanted, but that was ok since my brother didn't really give a rip about playing library. So let me help you help yourself, by organizing your life... at least in regards to your book tour. You've got your pre-written email and the book blogger lists. Now's the time for combing through the lists. Open up your first potential blog. Now's the time to decide if it's worth emailing your shiny, new introduction email to its owner. Here's the checklist I use to decide. Has this person posted in the past month? Sometimes I'll find a blog that looks like a perfect fit, but rats, May 2013 is the last time they posted! Don't spend your precious time on that. You have better things to do. Does this person accept my genre? The "About Me" pages are nebulous things. If a blogger doesn't specify what genres they accept, look through some of their posts. You'll see immediately what they like to read. If they aren't interested in your genre, move along. Is this person accepting guest bloggers or review requests (if that's something you're looking for)? Again, this may take some sleuthing. Do you see book blitz posts? Are they doing reviews of non-best-sellers? Have they provided contact information? This is more annoying to find than you might imagine. Despite the oft-repeated advice, "PUT YOUR CONTACT INFO ON YOUR WEBSITE" (you've done it, right? ), people don't. I'm going to be honest here: You'll feel like you're wasting a lot of time as you sort through blogs, especially if you're as fanatical about me as the details. Like, what are these people thinking? Where is the simple information a poor author like me needs? Don't any of you want books to read or content creators for your blog? COME. ON. The most frustrating thing is knowing what to do first. If I spend time hunting around for someone's email address, but then I discover they're closed for requests, I've wasted time. If I make sure they're a great fit for my genre and style of book, but then discover their email address is missing, I've wasted time. But it's still time well spent. I refer you back to the statistics I posted on Monday. If you're emailing a dead blog, it's guaranteed you're not getting a response. Or a no six months after you've released your fifteenth book. Or if, miracle of miracles, they say yes, but then they forget and don't post your guest post or do a review of your book because, after all, they let their blog go dead for a year without bothering to tell anyone about it. However, don't get discouraged. Their "About Me" page might simply say, "I love books and cats!" and that's all. But they might still end up responding to you. Don't rule people out just because they aren't exactly clear on what they want or how you can get in contact with them. But do rule them out if they say, "Please don't email me about [whatever genre/thing you're peddling]." That's just common sense, right? And here is where I extol the virtues of spreadsheets. O spreadsheets, how oft I have praised thy beauty! A yes/maybe/no column for each thing -- cover reveal, book review, blog tour, etc. And that's it. That's all you really need. If you're contacting 25 blogs a week like I do, it'll fill up fast. You can search and sort and do all sorts of nifty spreadsheet things, but the most important thing--keeping track--is taken care of. You'll start hearing back, and that's when the magic happens. Short section here because there's really only two things you need to do. The first is keep your spreadsheet updated, so you have it to refer back to whenever you forget what the heck's going on. The second is to keep your emails organized. Me? I have a folder for each and every blogger that responds. Then when Invested Ivana of One Book Two (who's awesome, by the way; go check her blog out) emails me, I can go refer to our previous correspondence. No need to sort through my inbox or panic because I can't remember what we talked about. No wondering if I've already offered her my link to my newsletter and worrying if I sound like I'm badgering her. K, so off to the races you go. You're emailing your bloggers, you're starting to hear back, you're filling in spots in your blog tour. Next up: Getting ready for The Big Week. As always, let me know any burning questions in the comments section! To add to my copious list of qualifications (as well as, apparently, to further inflate my already bloated ego), I'd like to turn your attention to the fact that for a year, I ran a book review blog accepting self-published novels. (I should probably mention here that many book bloggers do not accept self-published novels for reasons we are all aware of and which are beyond the scope of this particular series.) So when I talk to you like I know what the inside of a book blogger's inbox looks like, well, it's because I do. Believe me. It's not pretty. More Planning. Yes, I Said More! Let's talk for a minute about how busy you are. And what do you hate more than anything in the world? Overcooked asparagus, spiders that menace you from dark corners when you're stumbling into the bathroom in the middle of the night, and spam. Spam can come in many forms, and since we're not actually talking about you in this blog series, we're talking about how to recruit bloggers to your book tour, let's get back to talking about bloggers. Bloggers, bloggers, dear, sweet bloggers, who have opened their inboxes to all manner and sundry of micreants. People sending them requests for reviews even when they don't do reviews. People adding them to email lists unrequested. People demanding things, being rude about things, being downright confusing about things. Rule #1 of emailing anyone: Don't be that guy. "So what's your point, Samantha?" you're asking. "I get that I shouldn't be that guy. I won't be that guy. But what does that have to do with planning?" My point is this. The next thing you need to do before sending out emails to poor, unsuspecting bloggers is to write a short, polite, and to-the-point introductory email. What you're offering specifically. Those dates we talked about yesterday? This is where you communicate them. The third item (what they're going to get out of participating) will be part of what you're conveying with the second and fourth, but you need to keep it in mind. When you get something in your inbox, what do you think? "I certainly hope this is more spam that is asking me to do something that will waste my time"? No, you don't. You think--subconsciously--"What's in this for me?" In this instance, what you're offering to the bloggers is 1) to bring content to their subscribers that they don't have to expend energy creating themselves and 2) a chance to advertise their blog outside their own sphere of social media influence. Aha! Yes! That little tidbit we'll bring back in a couple days when we talk about what to do when the tour is going on, but it's super key. If you have an impressive number of **REAL!! ** Twitter or blog followers, you can point it out as something they'll get out of it. If not, that's ok. If you're pitching HuffPo, well, good luck, but most bloggers aren't going to care. Most of us are just trying to scrape out a meager little corner of the interwebs, so we're all in the same boat. We're all busy. I think I've said that before. I'd check back above, but I don't have time. Don't ramble on in much the same way this blog post, to an extent, is doing. Don't copy and paste the blurb from all fifteen of your books into the body of the email. Don't make them hunt and search for what you're asking buried in fifteen paragraphs. I recently received an email from a book-related mailing list that I signed up for at some point. It went on a bit about their organization and then it said, “Would you like to help with an awareness campaign on Amazon?” OK, I have no idea what that means. Not only that, but I don’t care to figure out. I'm busy. I've got things to do: this blog series to write, a book to edit, a critique partner's novel waiting for my feedback, a short story languishing in my head, and another book outline to work on. Instead, tell them exactly what you want in a manner that they can say "yes" or "no" to. Don't be shy. You're going to get a ton of no's by way of non-responders. That's life as a writer. If you don't want to get rejected, you need find a new profession. In fact, telling your "cold calls" exactly what you want is going to work in your favor. You're not their crotchety old aunt Betty who will complain about them at the Thanksgiving dinner table if they don't reply to your email. They have no obligation to wade through your head-scratching prose to get to the point. Get to your point. Get them to the "yes" or "no." You do that, and you'll see yesses. If any of these opportunities sound like something you'd like on your blog, please let me know. I'm not going to go on about all the bits and pieces of this email because you can read it for yourself, but see what I'm saying? Short and to the point. You know what I'm asking. You can say "yes" or "no" to this. There's no hunting or wondering or head scratching. Oh, and use their name. It will take a bit longer to find it, and in some cases you won't find it, but if you actually send out an email that says, "Dear Blogger," so help me, Flying Spaghetti Monster, I will hunt you down and make you eat your entire spam folder. In the cases where you really can't find it, just leave off the "Dear" part. Where Are Those Secret Lists You Promised Me? I didn't forget the lists I promised yesterday. Lo and behold, here they are! Because I'm a self-published author, they're skewed in that direction. You're welcome. After booking my tours, etc., I've gotten through #1 and started on #2. The further into the archives you go, the more likely you are to find dead links. So it's a short list of lists, but it will take you a long time to get through them. Please note: If you don't take a long time to get through them, you're not getting a refund on this course. Don't even ask. Glad you asked. Now you start sending out emails and getting ready for the tour. Nothing to it, right? Oh, you want some more info? Well, let's get into that tomorrow. You've already got some homework to do. When we reconvene, I'll talk a bit about organizing your campaign and responses. Questions, comments, concerns? Post 'em below. When I published my first book, I scheduled the cover reveal and my first blog tour through a company. However, I've a bit of a control freak--and I'm working with a limited marketing budget--so for the rest, I've scheduled my own. Be warned: It's a lot of work. However, there are many good reasons to DIY, and if you stay organized, it will run smoothly. Create your plan ahead of time. 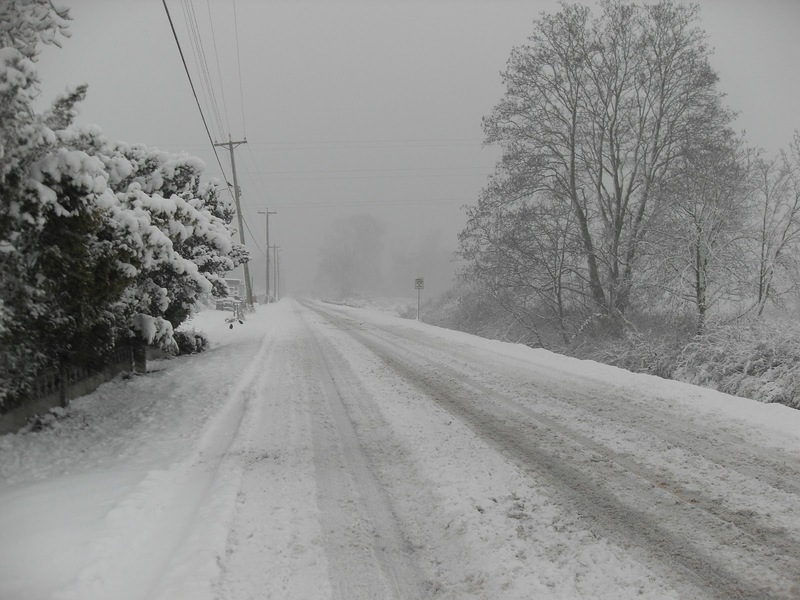 Be prepared for unforeseen circumstances, both by keeping a flexible mindset and by creating contingency plans in advance. Have fun. If you're not having fun, why are you doing this? The good news is that I'm going to walk you through the first three. Unfortunately, I can't manufacture fun for you, but, like, wear a clown nose when you're doing this or something? Watch some Mindy Project while you're sending out emails? You'll have to figure out what works for you. So let's talk about your plan. The things you need to decide are 1) when you want the tour to run, 2) what you want to contribute to the blogs, 3) whether you want to do a giveraway, and 4) how many stops you want to make. In the case of a tour, you'll schedule multiple dates and (probably) fewer blogs. In the case of a cover reveal or a release date blitz, you'll schedule one date and (probably) more blogs. When Do You Want the Tour to Run? The "when" is pretty straight-forward. In the case of my July blog tour, I picked a two week period, and when I invited bloggers, I let them choose their dates within that range. As you can see from my tour page, not all the dates were filled, but that was OK with me. I was also doing a 99 cent promotion, which I advertised on Book Gorilla (ok results), eReader News Today (pretty good results), and some others that didn't net to anything (so I won't link them). Make sure you plan your tour well in advance. It will take a while to send out requests to book bloggers--unfortunately, there's no "mail merge and send" option. Because you want this to be successful, you're going to pick through blog lists and individually email bloggers. As you can see, just because you get a "yes" doesn't mean they'll pull through. I targeted to send out about 25 per week. It doesn't sound like a lot, but it is--but more on that tomorrow. What Do You Want to Contribute to the Blogs? In the case of a release day blitz or cover reveal, what you provide is easy and far less work because you're only creating one post for everyone. However, in the case of a tour, you have to decide: Are you going to do a guest post? Excerpts from your book? Deleted scenes? Something themed? Any old random thing? Decide ahead of time so you can communicate that to the bloggers you're inviting. And I highly recommend a unique post per blog, which means you can cross-promote effectively. If it's the same post everywhere, people aren't going to go to other blogs, which works for a release blitz but not a tour. For my stops, I did a combination of guest posts and deleted scenes. Some of the bloggers had specific ideas of what they wanted. For instance, Amaryllis at The Opinionated Woman wanted me to review something, and I picked a book I'd just read, Starship Troopers. Others, such as our very own Operation Awesome, of which I wasn't a member yet, wanted something in a theme--in that case, writing-related--so I wrote about a technique I use to flesh out characters. Others were open to anything, so I gave them deleted scenes. Do You Want to Do a Giveaway? You also need to decide how much stuff you're giving away. If you're doing a giveaway per blog, that's great! People love to enter giveaways! They'll hop around to all your stops! However, that means you have to do more organization both before and after. I didn't do giveaways as part of either example I'm using, but I have in the past, and I recommend Rafflecopter. It's free and easy, although you still have to package up and send out the pet lemurs yourself. How Many Stops Do You Want to Make? This isn't quite as straight-forward as it might sound, and it's closely tied to the previous decisions. The more you plan to the do, the more work it's going to be. I mean, duh, obviously, but you really have to think about this. If you're doing a unique post per stop, that's great! Bloggers love unique content! You'll probably entice more to participate! However, that means you have to write as many unique posts as there are unique stops. If you give yourself plenty of time, you can crank out 20 blog posts in the weeks leading up to the tour. Just be sure that you're prepared to do that much writing and editing and emailing. My biggest problem? Coming up with interesting ideas. 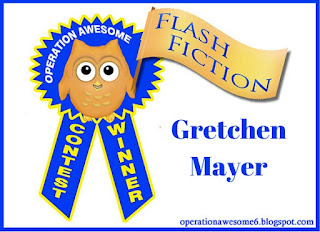 There's a reason I'm on a shared blog where I do more regular things like the flash fiction contest than blogging. But if you're someone who can crank out ideas, you'll have no problem with multiple tour stops. Hopefully I've impressed upon you the importance of planning this in advance. Things will always arise that you haven't thought of, but make sure you've decided how you want everything to go. In the words of Yogi Berra, "If you don't know where you're going, you'll end up some place else." Tomorrow we'll talk about the actual recruitment process. I have some secret lists of book bloggers that I'll share from my secret repository of secret things. Just kidding, they're not actually secret. If you have questions for me, I'm happy to answer in the comments section. Good evening, all! 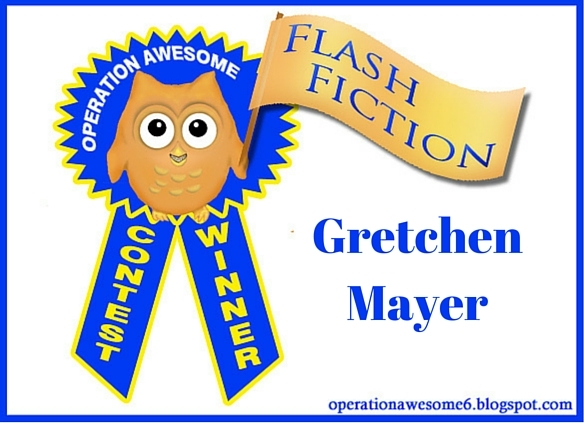 Here ends another edition of the #OAFlash Fiction contest. Long ago when the world was still new, the people of earth revered the Sun, for it chased away darkness and with it the creatures that lurked therein. It was a time before monsters were banished, and held captive in the minds of children. Warriors were trained up, and they prayed to the God’s of their world to free them from the terrible creatures that tormented them in the night. Many had failed to defeat the witch. The cave was her home, and her children were the snakes that adorned her head in place of hair. The last warrior was sent into battle against her. He was everything a warrior should be, strong, brave, and true. He marched into battle not wielding a sword, but alone with only his mind to save him. For the mind is the greatest weapon anyone can posses. Entering the cave he peered over his shoulder and slunk into the shadows, whimpering, for while he acted the part of a brave warrior he was truly as scared as the rest. Deep in the cave there arose a scream, and he knew he had won. He raced towards the sound, and upon seeing her he fell to his knees laughing, a deep belly laugh. The snakes were gone replaced by… spaghetti! The witch, no longer frightening or scary had no place in the shadows or darkness, and was banished from the land. Thanks for stopping by. Tomorrow, I (Samantha) will be kicking off a series on how to book your own blog tour. See you then! 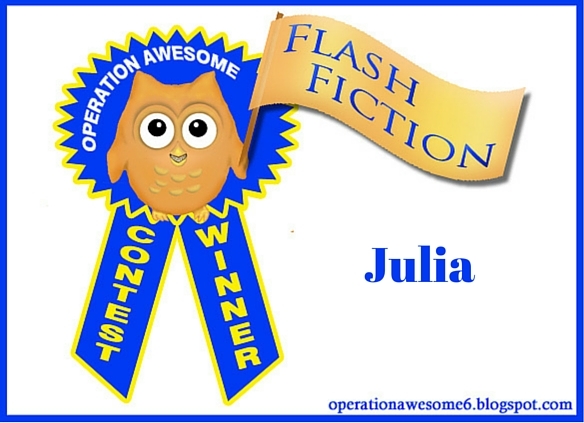 Flash Fiction Contest #10 & Refractions Vol 3 Giveaway! "On top of spagheeeeetiiiii / All covered with cheeeeeeeese / I lost my poor meeeeeatbaaaalll / When somebody sneeeeeezed." Welcome to the #OAFlash fiction contest for this weekend. Need a rules refresher? Go here. Would you like to take a guess what the prompt is? No? OK, then, I'll just tell you. And new this week: A tweetable! Invite your friends and followers! 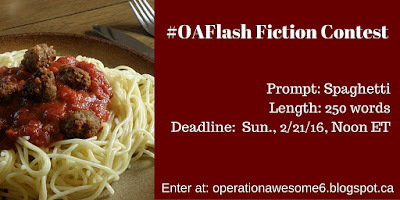 Tell everyone about #OAFlash! Go forth and create me something wonderful! Win a copy of Refractions Vol 3! And today, to celebrate short fiction, we're giving away one ebook copy of Refractions Vol 3, a bi-annual journal of short stories for young adult readers! Take part in the "Kuiper Belt Derby" or meet a Spirit King under an African sky. Includes work by Operation Awesome contributor Wendy Nikel, Anne E Johnson, and Danielle Donaldson. My first novel had flow issues. 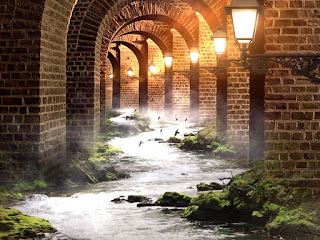 Other novels I was reading at the time seemed to flow so easily from one idea to the next–like a slinky walking down the stairs, but mine was more like a dollar store slinky–it would make it to the second step and just roll the rest of the way down. I wanted that smooth flow for my book, but couldn’t put my finger on the problem or decipher what made those other books work. A couple years ago, I took Advanced Fiction Writing with Steve Alcorn--which I highly recommend--and in one of the lessons he presented the Scene and Sequel technique. I doubted him. In fact, I told him how wrong he was and set out to prove it. But, I soon realized, much to my irritation, he was right. Scene and Sequel not only remedied my story flow issues, but has been the technique that has most transformed my manuscripts. tension and action at a high level, while giving your character a chance to react to what’s going on. In every book there are hundreds of scene and sequel pairs and may be multiple pairs within each chapter. An individual scene or sequel can be long or short depending on your genre and target audience. It can even be applied in dialogue. 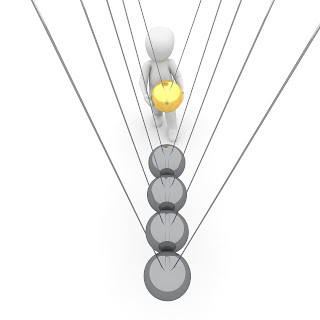 Goal– What the character hopes to accomplish, big or small. Conflict– A point of tension in reaching the goal or conflict with the goal itself. Disaster– A setback, big or small, that increases tension. Can even be a reverse disaster, a too good to be true moment. After the disaster we give our character a chance to react, which brings us to the Sequel. Thought- What’s your character thinking at that moment? Action– What course of action will they take as a result? This action will lead into the next scene. Take a piece of your own writing and give it a try. With repeated use, it becomes second nature--the logical way to organize a novel. Check out Crossing the Threshold for a deeper discussion of Scene and Sequel. 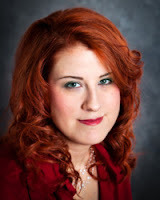 Melinda Friesen writes novels for teens and short stories. You can find her first published novel, Enslavement, here. Unfortunately, she is all too familiar with automotive clicks of death. I love that you love to read so much, and that you want to tell your own stories, too. Storytelling is an ancient pastime, a magical process, and a breathless escape from reality. Start writing now. Don't think you have to wait until school's out, or you have your own computer, or you're an adult. You have stories worth sharing now, even as young as you are. It takes dedication and lots of hard work to write out an entire story, from start to finish. Many start; few finish. Practice being a finisher, right now. Let other people read your stories, if you want. Share them with people that will love them. Ask each of those people for one idea of what you could do better. Get used to listening to other people's ideas, and deciding for yourself if you want to use them next time. Keep reading books. Nothing helps you understand how to write better than absorbing the writings of those who have mastered the nitty-gritty of how sentences work. Pay attention as you read. At the end of a book, determine why you liked it so much (or didn't like it!). Those are valuable lessons you can apply to your own writing. And finally, learn to shut out those voices (both yours and other people's) that tell you that you can't write a book. Surround yourself with people who will encourage and help you. Because you can write a book. Somewhere, floating in that head of yours, is a book only you can write. I hope you will. 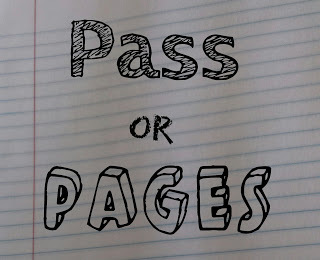 Operation Awesome is excited about the next round of #PassOrPages, coming in March! The January edition was a success, with four agents participating to give feedback on five randomly chosen entries in the adult mystery genre. You can look at what they had to say starting here, and you can read a little bit more about the contest and rules here. We are not putting a limit on the entries accepted. As with last time, we'll be randomly selecting 5 entries to forward on to all the participating agents for feedback. We will not proofread them or change them in any way (except to remove bio information, if you forgot to do so before entering). WE HIGHLY SUGGEST THAT YOU POLISH YOUR QUERY AHEAD OF TIME. Please no first drafts. The agents are expecting query-ready queries. But keep in mind that this contest is for people looking for feedback on their query letter and first page. It would be ideal for someone who has already workshopped their query and is about to start the query process or who has already begun but isn't getting requests for more pages. Also, your manuscript should be polished and query-ready, too. Agents do have the option of requesting more--up to the full--so be prepared to send it. We'll be doing the announcement as to which agents will be participating on March 7. See you then! 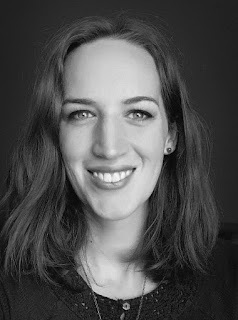 Our first Wednesday Debut Interview of 2016 is Sara Barnard, here to talk with us about her debut YA novel, BEAUTIFUL BROKEN THINGS! Welcome! First off, tell us a bit about yourself! I live on the south coast of the UK, just outside Brighton - where I lived for five years - in a small town with my boyfriend and my tuxedo cat. When I'm not writing books I'm a freelance content professional, which means I help companies with their online materials and websites. I'm a big reader, strident feminist and somewhat-lapsed Quaker. How would you describe BEAUTIFUL BROKEN THINGS? Beautiful Broken Things is a platonic love story about best friends. It follows three girls - Caddy, Rosie and Suzanne - as they learn about the world and each other. Along the way there's tears and giggles, beaches and Nandos, trauma and survival. And a lot of hugging. Let's talk a bit about your writing process. How long has it been from the time that you began the first draft of this book until the date of its publication? A long time! I wrote the very first version of this book when I was 13, which was 15 years ago now. It's obviously gone through a lot of incarnations since then - and so have I! I'm glad now that it took its time coming; it was worth the wait! What scene, character, or aspect of this book did you most enjoy writing? I always loved writing the scenes between the three girls when they're just being together. I honestly could have written entire novels based around just this, but I don't think that would have been as interesting to everyone else! The conversations were the easiest for me and when I was at my most relaxed as a writer. The best ones always felt like I was listening to a conversation instead of writing it myself - like they were there in the room with me. BEAUTIFUL BROKEN THINGS deals with, among other things, mental illness. What research did you do to portray this in an accurate, realistic, and respectful way? As with most things I write, I started with the characters. With Suzanne, understanding where she was coming from and how she'd react to things was central to the struggles she was facing with her mental health. If I'd started with research on depression or suicidal ideation, it wouldn't have been *her* in the way it needed to be. I needed to know her first and then do more specific research - and by that stage it was all coming very naturally. It was slightly more complicated with a character like Tarin (Caddy's older sister), because I knew less about bipolar disorder, but again I researched everything from the perspective of her character. It's always character first and though that is of course influenced by things like mental health, it was important to me to show that it's not everything. Having bipolar disorder is the least interesting thing about Tarin - I hope! On the topic of your publication journey: every writer experiences some rejection and setbacks along the way. How did you learn to cope with them and move on? Unfortunately there's not a magic phrase or piece of advice that will make rejection hurt less - it's just something you have to go through as a writer. I remember when I got my first "real" rejection through (from a literary agency) I felt like I was earning my chops as a professional, because being rejected is what happens to professionals! It helped a *tiny bit* to think of it that way! 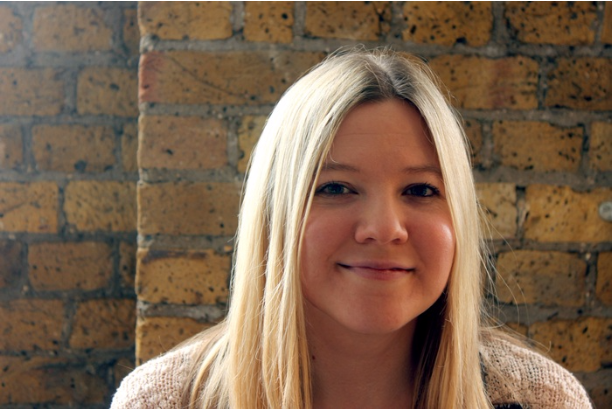 My brilliant agent - Claire Wilson - did all the hard work for me. She submitted the finished book to a number of editors at different publishing houses and then it was a case of seeing who was interested and what the offers were. The first publisher I met was Macmillan, and I knew immediately that was where I wanted to be. Their enthusiasm for the book was so clear and they're such a brilliant publisher. It was a no-brainer. The team who work with me and BBT at Macmillan Children's are so talented and passionate. I couldn't be happier. Tell us about your book cover! Who designed it? How much say did you have in it? What do you want it to tell your readers about your story? Rachel Vale at Macmillan designed it! It is obviously the most beautiful thing I've ever seen. I was lucky in that I had some say in the cover design, but luckily I didn't need to get involved much because Rachel did such a brilliant job. We went through just one different design before this final one came through. Above all, I wanted the cover to tell readers that this is a story worth reading, without giving the wrong impression of what they'd find inside and without giving too much away. I think it does it perfectly. 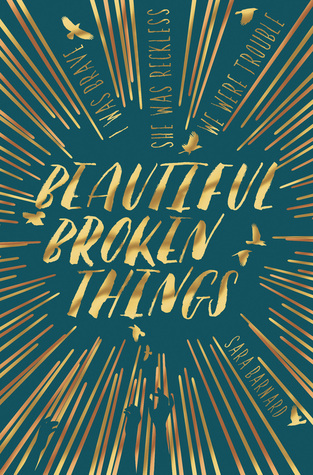 Beautiful Broken Things went through a *lot* of titles! It actually had a different title at every stage of the process! While I was writing it, I was calling it Third Wheels, but it was also known as Cracked and Thanks To You at various stages! My publisher felt the book needed a stronger title, and I'm VERY happy with the title it ended up with. Can you tell us about some of the things you been working on between signing a contract for BEAUTIFUL BROKEN THINGS and its release? I spent some time working with my editor to polish up Beautiful Broken Things, but I've also been working on my next book, which is another contemporary standalone about love, communication and anxiety. It feels amazing! (And a bit scary!) I'm going to be doing several events that I'm excited about, such as the World Book Day Teen Fest event in March with Holly Bourne and Juno Dawson. KEEP GOING. There is honestly no better advice I can give than that. Maybe I could have done some things differently, but I'm glad I didn't. I've ended up with the best agent, editor and book I could ever have hoped for. It was worth it! And, just for fun, which book in your own library do you think would be your main character Caddy's favorite? I feel like Caddy would be a big John Green fan, to be honest! I can imagine her shedding some tears over The Fault in our Stars. Thank you so much for your participation in this Wednesday Debut Interview! And congrats on your new book! Purchase BEAUTIFUL BROKEN THINGS here! Do you or someone you know have a debut book coming out this year? If you'd like to be featured in a Wednesday Debut Interview, please email wendynikel at gmail dot com with your book's title, release date, publisher, and category/genre. Write a scene in which your character does something that makes another character very nervous. Need fresh eyes on your query letter or Twitter pitch? I'm offering up a critique this week. Speak up in the comments (include your twitter handle or e-mail) and I'll select someone at random for a critique! I tend to talk to myself. Some people like to call it “thinking out loud” but I won’t deny it; myself and I have some great conversations, and sometimes I’m a really great sounding board. But not always. Sometimes I just wish I had someone else who was just as passionate about and interested in my developing manuscript as I am, and could answer me every time I asked something like, “Okay, how does this sound,” or “Does that really sound like something this character would say?” And sometimes I just need other-me to forget they’ve written anything, and read it with fresh eyes. I’m not ready for beta readers, but I need some new insight. How can I cleanse my palate a little bit and get a new perspective on my characters, or on my work as a whole? Try online Text-To-Speech (TTS) readers. It’s a tactic I’ve found enlightening, not to mention pretty entertaining. My main character is male, so I worry sometimes about whether or not he sounds masculine enough. Running his lines through TTS programs have helped me realize which lines really work and which need tweaking. When I can hear him speak his lines, I get a better feel for his personality, and how he might actually phrase his thoughts. -Run whatever chapter you’re working on in a UK accent (or an American accent if you’re from the UK). Hearing it so differently from what I hear in my head really puts a new spin on the words and helps me pick up on little things, working and non, that I normally skip over. Plus it just sounds so fancy. -Try lines for each character in different voices until you find one that is closest to how you think they probably sound. You may be surprised, and learn something something new about their personality. -Create audio files for each line in a dialogue in each character’s voice, and play them back in order. You will actually hear your characters converse, which is amazing, but you’ll also be able to gauge whether each character is speaking as he or she would. -If you’re a woman, have a man read your book out loud, and vice versa. It might help broaden your perspective to hear how it sounds to someone who isn’t you. -Instead of reading a couple paragraphs back before you pick up writing or rewriting for the day, try playing those paragraphs out loud. You never know what ideas might flare up. Although TTS programs have come a long way since the MagicSpell wizard used to read your ICQ messages to you, keep in mind that a computer still doesn’t sound like a fully-produced audiobook. It will still sound somewhat robotic, with incorrect cadance and strange emphases. Do your best to listen past the weirdness! http://ttsreader.com/ No character limit, US English is female, and UK English is Male. I like the UK English, and I like this reader because it’s quick and responsive. http://www.fromtexttospeech.com/ This is one where you have the option to download seperate files for each line. Also no character limit, and several different voices, including an Indian accent. https://acapela-box.com/AcaBox/index.php This has the most choices and it’s wonderful for hearing lines from diverse characters! In US English you can hear children’s voices, a teenager (Scott), an old man, a Texan guy (Michah), a child with an Hispanic accent (Emilio), a child who sounds like she’s from France or something (Valeria), a sad guy, a super happy guy, and yes, even a Yoda voice, with which I may or may not have spent my evening playing. Warn you I must: get distracted, you will. There are also several other choices under British, Scottish, Australian, and Indian English. If your character is from another country, select any language (Russian, Dutch, German, Japanese, etc etc) and the voice will read your English text with a thick accent. You can’t download for free from here, but you can listen online. Do you have any readers you love, or any other methods for seeing your work with fresh eyes? I’d love to hear them! Flash Fiction Contest #9 Prompt: "The last thing I need is another child. I already have twelve to look after." The pod was sitting on the step when I opened the door this morning. The last thing I need is another child. I already have twelve to look after. I looked up and saw nothing but dirty gray smoke rolling across the sky. A drone must have dropped it off last night. Perhaps it was a mistake and they would return for it. I lifted it up. It was heavy and would hatch within a month’s time. I placed it in the incubator, closed the lid and turned back to the clones. They were ready. All my hatchlings were ready in time. They were five years old now and would soon be taken away to be trained as warriors. I had done my job perfectly as always – except for one thing. For sixty years I had been attending hatchlings – 144 total clones – teaching them the state-approved curriculum and nothing more; feeding them the special diet that would cause them to grow quickly and nothing more. But commandment four, “Show no affection,” was one I could not follow. Indoors, where there were no drones to monitor me, I would kiss their identical cheeks and hug their identical bodies. And for sixty years the war had raged on. As they slept or studied I would walk the barren hills outside my hut. Being a preceptor is an honorable but lonely calling. A week passed, then two. No one had come for my hatchlings. This had never happened before and I feared the reason. The war was over. There was no more need for me or my hatchling warriors. But now I paced the hills for another reason – what was I to do with twelve grown clones? I worried and fretted this for many days. Finally the new pod opened. It was a slow birth – not the ripping and tearing I had witnessed a hundred times and more. And I could see right away that she was different. This last pod that had been so unceremoniously dropped on my doorstep was a consolation prize – a child I could love and raise t0 adulthood to care for me in my aging. I fed her milk from my cow and food from my garden. I cuddled her and played with her and taught her silly rhymes. And I sheltered her from the sight of the clones as they rapidly aged and died one by one like stars blinking out at sunrise. Come back again in two weeks for the next #OAFlash Fiction contest. 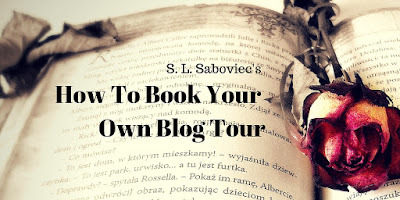 The week after, I (Samantha) will be sharing a week-long blog series on how to book your own book blog tour. Come back then!